Mercedes-Benz W114/115 the revolution in the upper medium category. 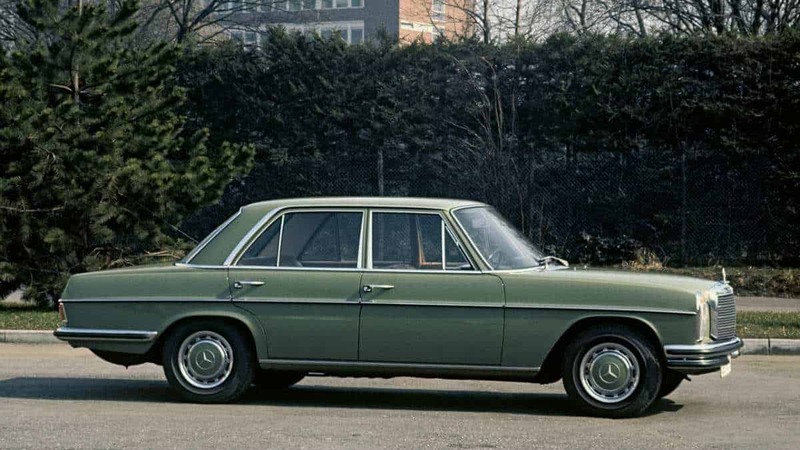 Precisely 50 years ago, on 9 and 10 January 1968, Mercedes-Benz unveiled the completely redeveloped saloons in the upper medium-size category in Sindelfingen. 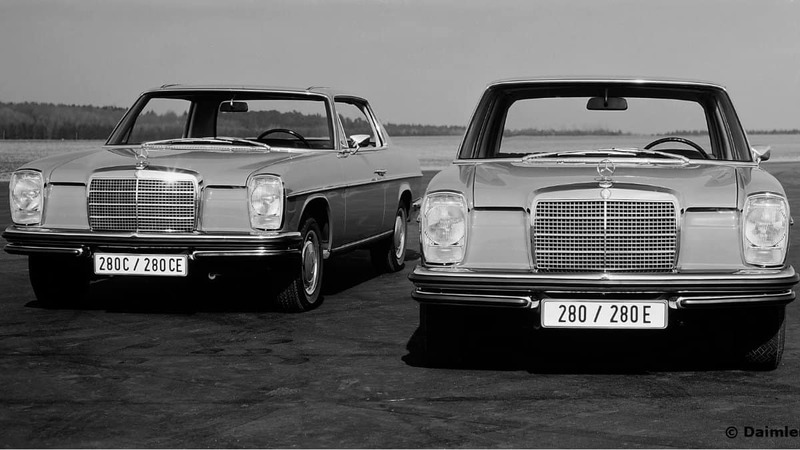 They are divided up into the model series W 115 (four- and five-cylinder engines) and W 114 (six-cylinder engines). The model series from the E-Class ancestral line impressed with its clear design idiom and a design autonomous from that in the luxury segment. 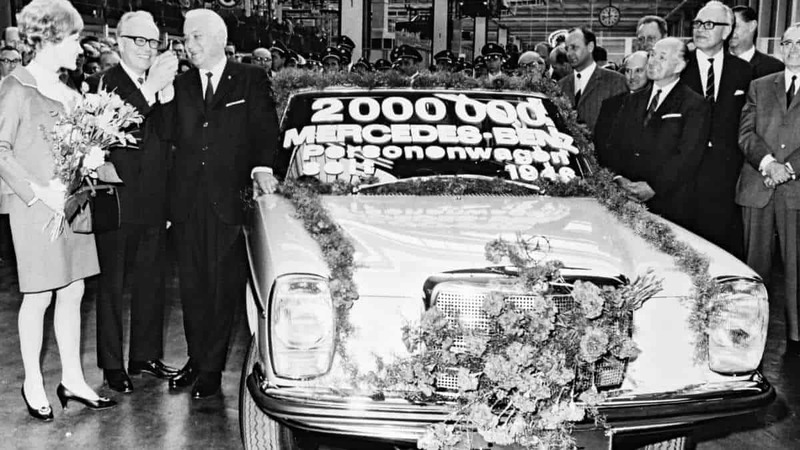 The success of the “Stroke/8”, as fans later nicknamed this vehicle generation, due to the suffix “/8” in the model designation, was overwhelming: for the first time more than 1 million units of a Mercedes-Benz vehicle family were sold. Alongside the saloons, they also include coupés, saloons with a long wheelbase and chassis for special bodies. Today the “Stroke/8” is a coveted classic model series family from the Stuttgart brand. At market launch the diesel-engine models 200 D and 220 D and the models 200, 220, 230 and 250 were available with a petrol engine. The range was subsequently extended yet further. The stylistically and technically very modern vehicles represented a minor revolution. However the new upper medium-size category had nothing in common with the wild student protests of 1968. Instead Mercedes-Benz used the “Stroke/8” saloon to successfully sharpen the profile of this market segment – the future E-Class. This development took on particular importance because the Stuttgart brand extended the model series family in the same year to include coupés (market launch in November 1968) and saloons with a long wheelbase (market launch in December 1968). Mercedes-Benz was thus now offering an extensive portfolio of various body forms and engines in the autonomous upper medium-size category. Even at first glance the “Stroke/8” impresses with its clear and harmonious design which Paul Bracq created in the Stylistics department headed by Friedrich Geiger. There were also new technical design features such as the rear diagonal swing axle. The engineers used it to achieve their aim of combining the brand’s hallmark ride comfort with further improved driving comfort. 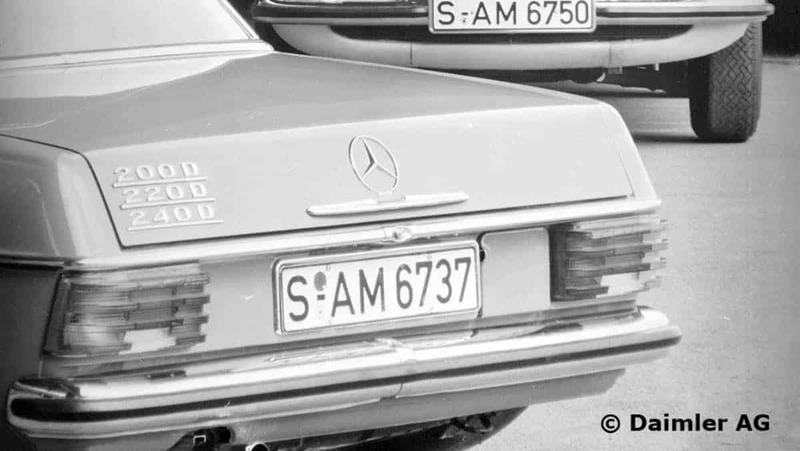 The specialist journal “auto motor und sport” said the following in its 4/1968 issue about the 200 (W 115) and 250 (W 114) models: “The wet and icy Hockenheimring confirmed the experiences gained on the Targa Florio route: driving stability is considerably improved with the new axle”. The article’s headline sums up the overall impression given by the “Stroke/8”: it calls the new upper medium-size category from Mercedes-Benz “well-calculated perfection”. 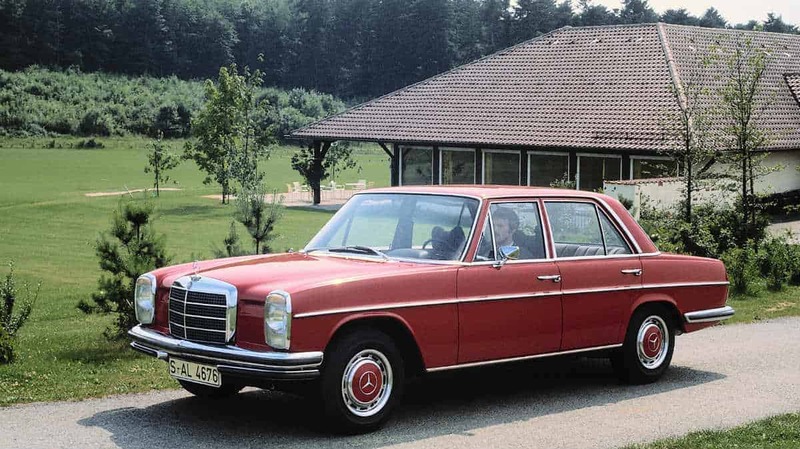 In the classic-car scene the vehicles built in the upper medium-size category by Mercedes-Benz from 1968 to 1976 were known as the “Stroke/8”. But this designation for the model series did not originate from the brand itself. Rather, it came from fans’ usage some time after the premiere in January 1968 – derived from the abbreviation “/8” which identified the 1968 models in the range. The abbreviation “Stroke/8” then became the catchy name for all the variants in this upper medium-size category. These also included the top engine versions 280 and 280 E (1972) as well as the 240 D 3.0, the first five-cylinder passenger car in the world, which came out following the 1973 facelift. Today the “Stroke/8 saloons and coupés are coveted classics. At regular intervals particularly attractive vehicles from the model series are to be found in the offering from ALL TIME STARS, the Mercedes-Benz Classic vehicle trading place. The ALL TIME STARS range is based on maximum transparency and was founded in 2015 to include classic cars and young classics which are subjected to thorough 160-point checks. And each goes on sale with a Classic Data Certificate showing that it has scored at least 2 for technical condition. The vehicles are classified in three editions: Concours Edition, Collectors Edition and Drivers Edition.